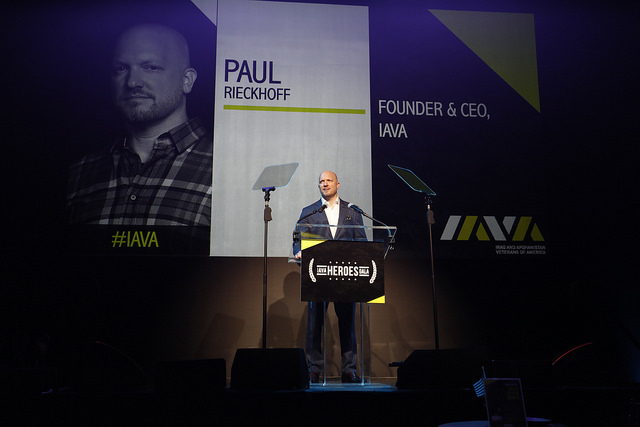 Paul Rieckhoff is the Founder of Iraq and Afghanistan Veterans of America (IAVA), America’s first and largest organization for Iraq and Afghanistan veterans. A nonpartisan, nonprofit founded in 2004 with members in all 50 states, IAVA’s mission is to improve the lives of Iraq and Afghanistan veterans and their families. From 2003 to 2004, Rieckhoff served as an Army First Lieutenant and infantry rifle platoon leader in Iraq. 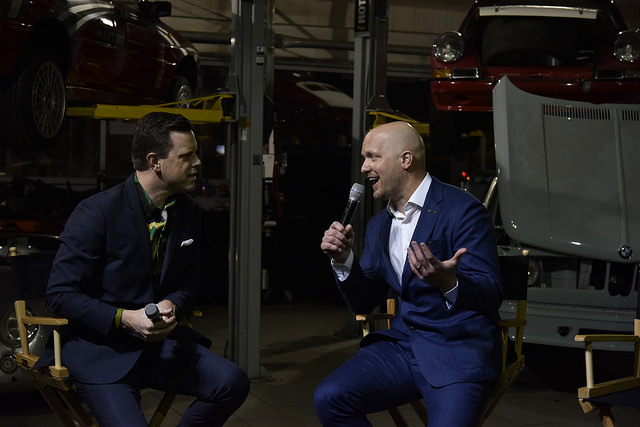 A nationally recognized authority on the wars in Iraq, Afghanistan and a broad range of issues affecting troops, veterans and their families, Rieckhoff has appeared on hundreds of television and radio programs. His recent appearances include: NBC’s “Nightly News,” ABC’s “World News With Charles Gibson,” Comedy Central’s “The Colbert Report,” CBS’s “The Early Show,” “Dr. Phil Show,” PBS’s “Tavis Smiley,” “The Charlie Rose Show,” and “ NewsHour with Jim Lehrer,” CNN’s “Anderson Cooper 360,” MSNBC’s “The Rachel Maddow Show,” HBO’s “Real Time with Bill Maher,” and numerous NPR programs. He contributes regularly to the New York Times, Associated Press, Wall Street Journal, USA Today,Los Angeles Times, Washington Post, and Newsweek, and is a regular blogger for The Huffington Post, Military.com, and Scoop 44. 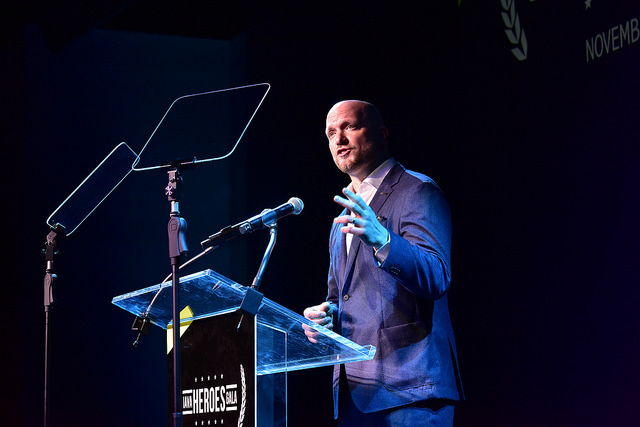 Rieckhoff was recently inducted into the Global Ashoka Fellowship in recognition of his innovation and entrepreneurship on behalf of new veterans. 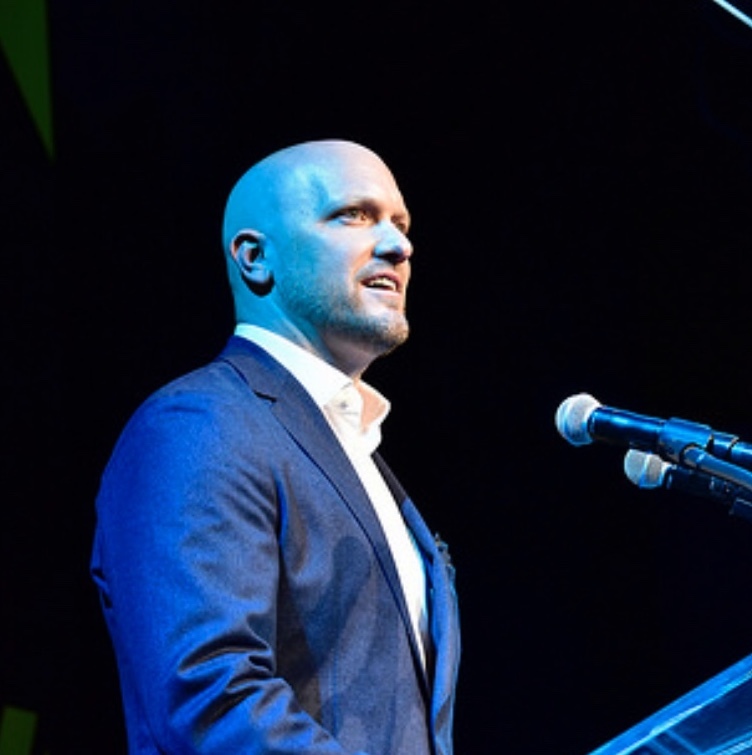 Named one of GQ’s “50 Most Powerful People in D.C.” in 2009, Rieckhoff has been honored with the Common Ground “Celebrating Home Award” and the Generation Engage “Lewis Cullman Civic Engagement Award” for his leadership in the service community. A native of New York, he serves on the New York State Council on Returning Veterans and their Families. Rieckhoff’s first book, Chasing Ghosts, a critically-acclaimed account of his experiences in Iraq and advocacy on behalf of veterans, was published by Penguin in May 2006 and released in paperback in May 2007. Rieckhoff enlisted in the U.S. Army Reserves in 1998 and completed Basic Combat Training and Advanced Individual Training at Fort McClellan, Alabama. He then served in the U.S.Army Reserves, as a Specialist with the 812th Military Police Company. While working on Wall Street at J.P. Morgan in 1999, Rieckhoff transferred to the New York Army National Guard, graduating from Officer Candidate School in June 2001 where he was named a Distinguished Military Graduate. Rieckhoff selected infantry as his branch and joined A Company, 1/105th INF (Light). Rieckhoff left Wall Street on September 7, 2001 with plans to travel and complete additional military schooling. Those plans would change dramatically when on the morning of September 11th he heard the first plane hit the World Trade Center. Seeing the smoke from his rooftop, Rieckhoff immediately joined scores of volunteers serving in the rescue effort at Ground Zero. His National Guard unit was formally activated for rescue and security operations later that evening. In February 2002, Rieckhoff began Infantry Officers Basic Course at Fort Benning, Georgia, graduating in June of 2002. In January 2003, Rieckhoff received the call to deploy to Iraq. Two days later, he joined the 3rd Infantry Division at Fort Stewart, Georgia where he was assigned as a Platoon Leader for 3rd Platoon, B Company, 3/124th INF (Air Assault) FLNG. The unit was attached to 1st Brigade, 3rd Infantry Division and spent almost a year conducting combat operations in Baghdad, Iraq. Third Platoon conducted over 1,000 dismounted and mounted combat patrols. All thirty-eight of the men in Rieckhoff’s platoon returned home alive. Rieckhoff was released from active duty in March 2004 and the National Guard in 2007. He is a staunch political independent, and his organization is not affiliated with a political party or candidate. A 1998 graduate of Amherst College, he currently resides in New York City.